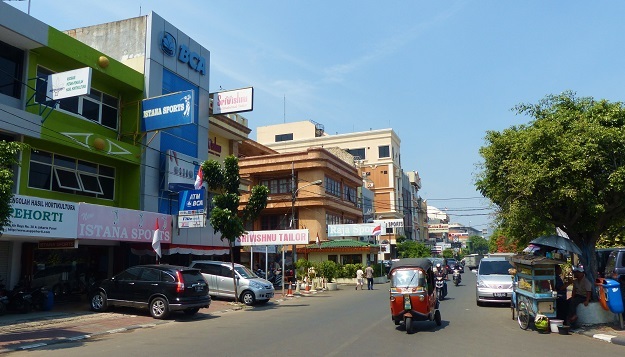 Like in most other nations across the world, Indonesia is also experiencing rapid urbanization. Currently, 56 percent of the Indonesian population lives in urban areas (at the start of the century - in 2000 - the figure was 42 percent). Although urbanization is - in theory - an engine of economic growth, Indonesia is not reaping the full benefits of urbanization. According to World Bank research, every 1 percent of urbanization in a country should lead to a significant increase in the country's per capita gross domestic product (GDP). However, while India and China's per capita GDP rises 13 percent and 10 percent, respectively, for every 1 percent growth in urbanization, in Indonesia per capita GDP only expands by 4 percent for each 1 percent growth of urbanization. Hence, Indonesia gains less economic fruits from the process of urbanization than countries such as India and China. And, remarkably, Indonesia's pace of urbanization is actually higher (at +4.1 percent) than that in China (+3.8 percent) and India (+3.1 percent). Every year, many Indonesians migrate from the rural areas to cities in search of a livelihood. However, as the cities often fail to improve the livelihoods of the newcomers, the urban poverty and unemployment rates are on the rise. Those who migrate to the cities are usually those with no - or very low - education and therefore face difficulty to obtain employment. In a seminar, titled Managing Urbanization for Sustainable Cities, held on Tuesday (19/12) in Jakarta, Indonesian Finance Minister Sri Mulyani Indrawati said urbanization brings too little economic fruits to Indonesia because there is not enough investment in infrastructure. That is why the Indonesian government has been raising its infrastructure development budget significantly since 2014. However, she emphasized that the government as well as state-owned companies do not have enough financial means to finance all required infrastructure development across the country and therefore private participation in the nation's infrastructure development is highly needed. Also in the 2018 State Budget the central government allocated a larger amount of money to the infrastructure budget (IDR 410.4 trillion, or approx. USD $30.4 billion from IDR 388.3 trillion in the 2017 budget). These funds will be used to build roads, irrigation, electricity networks, and flats for low-income citizens. Bima Yudistira, economist at the Institute for Development of Economics and Finance (Indef), added that the constant flow of people from Indonesia's rural areas to the cities indicates that development of the rural areas has not been successful. Every year, a large portion of the central government's state budget is transferred to the regions. However, Yudistira believes that these funds are not used effectively, hence few new employment opportunities emerge in the regions. I'm trying to cite some facts from the news, is it possible to have the name of the column writer?